John Richard Sultini, resident of Richardson, Texas, lost his battle with cancer on September 19, 2013. John was born in Mount Clemens, Michigan on November 9, 1957 to Joseph and Betty Sultini. He attended Utica Ford High School in Sterling Heights, Michigan and was employed by Allstate Insurance in Claims Support. John had a great passion for 50's memorabilia and old movies. John is preceded in death by his mother Betty Sultini. Those left to cherish his memory are his partner of 12 years, Dennis Stephens; sons, Trevor Stephens and Troy Stephens; father, Joseph Sultini; sister, Barbara Sultini and brother, Joseph Sultini. 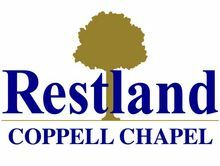 Visitation will be on Friday, September 27, 2013 from 10:00am-2:00pm at Restland Coppell Chapel – 400 S. Freeport Pkwy; Coppell, TX 75019. Graveside Services will be held following visitation at 2:00pm at Rolling Oaks Memorial Center in Coppell. In lieu of flowers, memorial contributions may be made to: American Cancer Society – PO Box 22718; Oklahoma City, OK 73123. Freeport Pkwy and Ruby Rd. Freeport Pkwy. and Ruby Rd. It has been years cousin and though I haven't seen you and have lost touch I was saddened to hear of your passing. I will always remember staying at your house in Michigan as a little girl for a week or two in the summer. Your parents were so good to me. Rest in peace and I shall keep you in my prayers. Comfort and sympathy to your family. If I tried to share SOME of our memories....it would be a novel, a book in itself. I am so GRATEFUL to have spent so many wonderful, crazy, beautiful, loving, hours, days and years as your friend...33 now. I love your forever my MoonDoggie! We hope your family knows how many lives you touched with your warmth and friendship. Our deepest sympathy goes out to them. We had so many good times together years ago- from " Bubba's Clubba" watching Saturday Night Live or In Concert,to hanging out at the house on Utica Road,to "Baja" rides in Howies Jeep! We are saddened by your passing, but your memory will forever bring us a smile. Rest in peace dear friend. It seems like yesterday that we were on Chattman back in the old neighborhood. Such innocent times. Then the crazy days of high school. I can't grasp that you're gone. I know that life handed you some lousy cards at times, but you held your own with courage and wit. I will miss you and love you forever. John, I recall a day you looked at me and saw I was defeated and about to quit. You said "Rick" never give up or anything you love so I gave it another try. You Sir are an eternal blessing to so many then, now and forever.......you didn't EVER give up and WE won't either looking to will see you again Brother! You were my buddy and I loved joking with you at work! You always made me laugh! I will miss our little inside jokes and your smile! I was honored to call you my friend! Love you always!! !